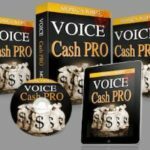 Voice Cash Pro [Review] – Can you really make a lot of cash with it? Today I’m going to talk to you about Voice Cash Pro. I got an invitation by email to check this one out. I wasn’t sure how it works so I decided to see what it was all about. Well, it’s obviously about making money online using your “voice”. Could this system be the one you’re looking for to make money online? If you are reading this article it’s because you have questions about this system. Well, I am here to give you the answers so you don’t have to do the research. I will give you my honest review in the paragraphs that follows. However, if you are skeptic already, and want to know how I make money online, well I will tell you right away that my method is NOT a scam. It’s also NOT a “get-rich-quick” method. It is a proven system that works! Click on the button below and find out for FREE how I do it. It is my No. 1 recommendation! So, I clicked on the link and went to the sales page. Wow, wouldn’t that be awesome? Do you realize that $9,800 per week is over $3.5 million dollars in a year! To tell you the truth, when I see headlines like these I become very skeptic right away. Let’s dig in and find out what the system is really all about. Owner: Monica White – I searched all over the internet but could not find a Monica White related to this product. First red flag. Price: $37 (or you can pay $1 for a trial and then pay a monthly fee) and of course upsells. The sales video of Voice Cash Pro starts off like hyped-up sales videos I have seen before. It’s all about getting you excited and discovering how ordinary people are making a ton of money every week or every month. The headlines start with pictures of people generating a lot of money with the system. The first one is Matt Askins. The sales video claims he has generated over $150,000 in 6 months. I hate to burst your bubble but here is “Matt” on Fiverr offering his services as an actor. His real name is Rob Spence. Same goes for Belinda Jackson, she’s also an actress on Fiverr. That doesn’t start very well, does it? Red flag no.2 already. Then the video goes on saying that you can start profiting over 500 to $800 even $1,000 using nothing but your own laptop or your mobile phone. Then there are the usual bank screenshots. In this case, it’s a PayPal account with over half a million-dollar in it. I can’t say for sure if this image is real or not but it’s always the same from these kinds of systems, in every sales video I have seen in the past, they show you a whole bunch of money just to hype up their story. I could go on and on but you get the picture here right? Do you want to know how I make money online? Check out my No. 1 Recommendation! Anyway, to get back to the sales video, then there’s the sad story that comes up. These hyped-up sales videos are all the same! There is a lot of “blah blah blah” that tells nothing about the actual system!!! They tell us a sad story about how they had a very hard time (this time, the lady narrator “Monica White” says that her husband had left her for another woman and she was left with medical bills to pay for her son medical condition…) and by a stroke of luck, found a “secret method” through a friend that changed her life and made her a millionaire. This is all about playing with people’s emotions and grabbing their attention so that they stay with the video until the end and believe their story. What is really mind-blowing is that, up to this point in the video, I have still no clue on how this program actually works, the reason is the video never says anything about it. This is typical of these kinds of systems, you have to buy into Voice Cash Pro before you can even find out what you are actually getting yourself into, and this is also typical of a very low-quality program. All I could find out was that you will use your voice for things like commercials, video games, audio books, cartoon characters, and announcements. Of course, this is true! There is a market for people doing voice-overs and it’s a legitimate way to make money online, however, the question remains: will this system be as good as it says it is? Will you actually make that kind of money with it? I can tell you right away that I have very high doubts. But let’s get back to the video and see what we can really get out of it. Step No.1 – Setup everything by following a simple step-by-step set of instructions. Step No.2 – Spend one to two hours a day on your laptop or mobile phone. Step No.3 – sit back, relax as you start receiving online payments. READ Is Wealthy Affiliate a Scam or What? Well, that sounds pretty simple, how could anyone make it easier? But what is it exactly? There’s nothing here! These are all just fancy statements. Then, of course, we get testimonials of people making tons of money with it. The last thing the video provides is that it’s a proven system that is jam-packed with new information that will help you start making money today. Sorry folks, I just don’t believe it! And I will be very honest with you, with all the fake testimonies, hyped up stories and unrealistic money claims, I decided not to waste my time and purchase this system and request a refund just for the sake of trying it because I know it’s not going to work the way it says it is. If you are interested in doing voice-overs and freelance your way out there, if I were you, I would do some research first. You will soon find out by checking things out on Google, that freelancing as a voice-over person for has a lot of competition and there is no automatic system to do all this! It is simply unrealistic. Relatively cheap at $37 or $1 for a 7-Day trial, but if you go over 7 days you’ll be charged a monthly fee. Fake owner – Anyone or any system who hides behind a fake name to represent a product should be a clear indication that it is of very low-quality! Fake testimonials – Hired actors reading a script does NOT represent the reality of the system! This one is full of them! Hyped up money claims – Screenshots of supposedly bank/Paypal accounts are easily made up and manipulated to represent accounts that are not representative of the money made with the actual system. Upsells – There are a lot. I’m not saying that upsells are wrong, but their initial price has only a “basic” system, you need to upsell your system to gain access to “more” or “better”. I took a look at their Affiliate page and the average sale is $230 per sale. From all the red flags that we have uncovered in the sales video alone, I do not recommend this system to anyone. Am I going to call it a scam, well it’s a close call for me and I will let you decide for yourself. The only thing that keeps me for calling it a real scam is that it’s being sold as a digital product on ClickBank. Also, the fact that you can request a refund within 60 days of your original purchase. With a real scam, you would not be able to do this. I will, however, call it what it is: A very-low-quality system! Almost 3 years ago, I was in your shoes. I was searching high and low all over the Internet to find a way to make money. I tried all kind of systems just like this one, and I have been burned quite a few times and lost money doing it. That was until one day I was researching another one of those “low-quality” systems and I ended up on a review similar to this one. I was sent to another platform that claimed that they were the “real deal”. Of course, having been taken for quite a few rides before, I was a skeptic at first. But I decided to check them out for real. It was the best decision I have ever made for my online business! I will tell you right away that this is NOT a get-rich-quick scheme. If you want to succeed, you will have to put in the necessary work into it, but I can guarantee you that this method really works! There are many ways to make money online, and with Wealthy Affiliate, you will be shown the step-by-step method to build your online business from the ground up with Affiliate Marketing! It applies to both the brand-newbie and the experienced marketer! 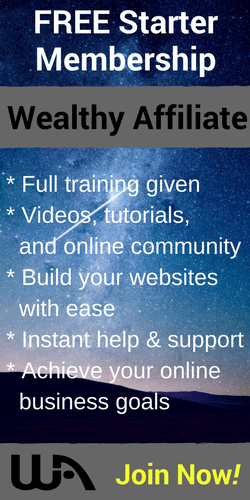 Wealthy Affiliate is also a community of like-minded business people that are always eager and ready to help each other. Being part of the community is what makes Wealthy Affiliate so unique. There is no other platform like it on the Internet! The best part is you can try everything for FREE. There is NO obligations or credit card required. Just fill in your name and email address and you are good to go. When you join, I will also be right there with you and help you in any way I can. I will be your personal “go-to-guy”. You will be able to reach out to me and I will help you in any way I can to help YOU succeed like I am with Wealthy Affiliate! 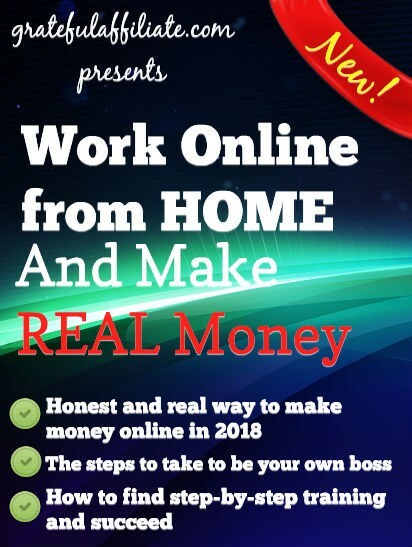 May I also suggest you to check out my FREE guide – Work Online From Home And Make Real Money. In it, you will find how I make money online and you can copy this method for yourself! Go ahead check it out by clicking on the link below. If you have any comments or questions, please feel free to ask them in the comments section below. Let’s do this together and succeed! Great review Denis! I really hope that a lot of people will find this review and discover the real truth. I must say that I always recognize fake testimonials because it is usually visible but people don’t pay much attention on it. Although it has money back guarantee, I think that this money can be invested in something much better than this. These fake testimonials are a shame. If the product is not being reviewed by an actual customer, how can we trust them? Just stay away is my honest advice! No use trying and then get disappointed! Thank you for stopping by and commenting on my article! This is an honest review of Voice Cash Pro and I appreciate your opinion of the product, however, I think it’s not everything. I need to get a website up and running with success. It appear that I will need to cough up extra money if I am going with this product. I am looking for a program that would teach me affiliate marketing without all the up sells! Wealthy Affiliate could be a real deal. I looks like an “all in one” platform that has an entire university/college like education. Am I right to say so? Yes, Wealthy Affiliate has everything under one platform. You will learn the step-by-step of what affiliate marketing is all about, while building your online business and creating a solid foundation. I recommend it to anyone, from the brand-newbie to the experienced marketer. 1) Fake Creator: the owner is fake. Yes of course… No trace of Monica White! 2) Fake Promises: How on Earth will an ordinary person make $9,800 per week and bla bla bla per month!!!?? One needs to be a top expert with plenty of experience to achieve those figures. 3) Fake Reviews::: by paid Fiverr actors! if you know, you know. Oh come on Fiverr! etc. Making money online takes time, hard work, experience, the right guide, tools and support to start making money. I see that Wealthy Affiliate has all these to offer for free when you start. I will check them out! 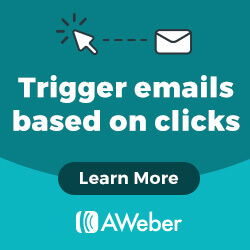 Like I said in my article, the only reason that I did not call this one a scam is that you are able to get your money back, and it is a digital product sold on ClickBank, so you do get something for your money. Is it something worthwhile? I doubt it, but at least you do get something. Wealthy Affiliate on the other hand, has everything under one platform. I strongly suggest that you do check it out, you will not regret your choice! Great review. Many people will fall for this “opportunity” or it wouldn’t still be out there. But if they read your review first, they will hopefully steer clear of it. Actually, the red flags you presented should cause folks to RUN from it! The fact that you dug up information on the “owner” and actors are definitely red flags. Presenting your recommendation for making money online and stating that it is not a get-rich-quick scheme is something seekers should find important. Keep up the good work! Thanks for stopping by Rick. I try and expose these systems for what they really are: Hyped up to get people in! Wealthy Affiliate on the other hand is the real deal! No hyped up stories, no untruth, just plain facts and training on how to build an online business with affiliate marketing! Wow! There are so many ‘get rich now’ promises out there. It’s amazing. But you are spot on about Wealthy Affiliates. As a member myself, I can say that you are entirely accurate in your description of their system. It is not a get-rich-quick scheme and they do not portray it as such. But it is a great system with tons of education and support available so that if you’re willing to follow the system and put in the work, the rewards will almost certainly come. Thanks for pointing out the flaws in some of these other offers. I am happy that you’re part of Wealthy Affiliate already! I am only pointing out these low-quality systems to others that don’t have our advantages of being part of a wonderful community of like minded people always eager to help one another! To our success my friend! Thank you for the excellent review on Voice Cash Pro. I had no idea there were scams going on about voice overs but really…why not? There are scams for everything. I was particularly impressed that you were able to find their testimonials on Fiverr to prove it was faked. I hope this helps people avoid this type of scam in the future. Sounds like you have a pretty good system that you’re a part of. Can you elaborate on what sets Wealthy Affiliate apart from all of the rest of the affiliate marketing “gurus”? The difference between Wealthy Affiliate and the rest of these low-quality systems is that at Wealthy Affiliate, you are told first of all that it is NOT a get rich quick method. 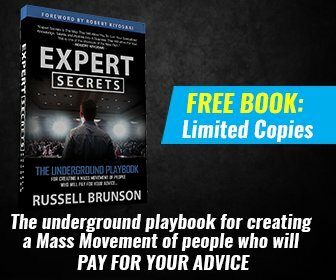 You will be shown how to build your online business from the ground up, with a solid foundation and your business will thrive for years to come. And the community is by far the best! It’s made up of like-minded members always eager to help each other succeed. And it works! These get rich quick method simply don’t work. All they do is get your credit card number and provide you with some basic stuff that you can find anywhere on the Internet for free. Just try it out, it is absolutely free to try, and they will provide you with 2 free website to start! You have nothing to lose and a thriving online business to gain! I will see you inside! Ahhh, as soon as I see the Fiverr actors come in for the testimonials my wallet goes back safely in my pocket – every time! Why do these types of offers use this route so often – surely they know that most people are aware of how this works? Thanks for your review, I was also interested about what was inside the box with this product…but that’s where my interest stops now! When I saw the earning potential of $9,800 weekly earning I must say I was attracted because I knew this would very likely be another scam. Turns out I was right, no recognizable owner, fake testimonials and over exaggerated earning potentials. This is another poor program that would end up making people poorer. Thanks for exposing this fraud, hopefully no one will fall a victim anymore. Thanks for visiting my website. I do try to expose these kinds of systems for what they are. And with all the fake testimonies and the actual owner hiding behind a smokescreen tells me that this one should be avoided. I am grateful that I have helped you make a wise decision and stay away from this one! Oh no, another fake way of appealing to people’s emotions to get them to part with their hard-earned money and receive virtually nothing for it! As you say, this system has so meany red flags against it that I for one would not touch it with a barge pole! And I really hope that anyone thinking about purchasing it will find your review before they get sucked in by the hype. I don’t believe that a “get-rich-quick” method will ever work, as opposed to the “Get-rich-slow” method which is taught by Wealthy Affiliate, and is a completely ethical way of making money online. Very many thanks for your important warning. The Get-rich-slow method taught by Wealthy Affiliate is not as appealing for someone looking to make quick cash, but it has SO much more potential. It actually works! I am the proof that it works. I have been scammed in the past and it’s only when I joined Wealthy Affiliate that I truly understood what it meant to have a REAL online business! Thank you for taking the time to comment on my article!